Richard Stuart Olson received his B.A. degree in from the University of California, Davis in 1967, an M.A. degree from UCLA in 1968, and a Ph.D. in 1974 from the University of Oregon. He spent 1965-1966 at the University of Madrid and 1968-1969 as a Fulbright student in Colombia. He is currently Director of both the Extreme Events Institute and the International Hurricane Research Center at Florida International University. Professor Olson was part of a research team to the 1972 Managua, Nicaragua earthquake and was subsequently involved in disaster response, research, and evaluation in more than 20 events, including Guatemala 1976 (earthquake); Chile 1985 (earthquake); Mexico City 1985 (earthquakes); Colombia 1985 (volcanic eruption and lahar) and 1994 (earthquake and landslide); Peru and Bolivia 1996-1998 (El Niño-Southern Oscillation); the Dominican Republic 1998 (Hurricane Georges); Honduras and Nicaragua 1998 (Hurricane Mitch); Belize 2000 (Hurricane Keith); and El Salvador 1986 and 2001 (earthquakes). He subsequently organized field research teams to the Chile and Haiti earthquakes of 2010. Asked to select three single or co-authored publications that he enjoyed the most, Professor Olson chose (1) “Toward a Politics of Disaster: Losses, Values, Agendas, and Blame,” International Journal of Mass Emergencies and Disasters (2000); (2) “‘Special’ versus ‘Normal’ Time Corruption: An Exploration of Mexican Attitudes,” Cambridge Review of International Affairs (2000); and (3) “From Disaster Event to Political Crisis: A ‘5C+A’ Framework for Analysis,” International Studies Perspectives (2010). 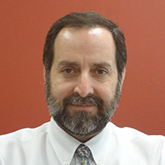 Aris Papadopoulos is a Distinguished Expert in Resilience at FIU-EEI. He earned Bachelors and Masters Degrees from MIT in Chemical Engineering (1978) and an MBA from Harvard University (1985). 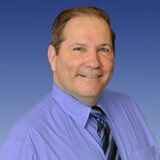 He has 35 years experience in the construction and energy industries. 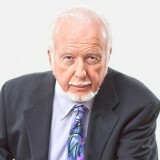 In 2014 he retired from Titan America, a building materials company, after serving 20 years as CEO. Aris chairs the board of ST Equipment & Technology, a worldwide provider of industrial waste reclamation and water conservation solutions. He chaired the Concrete Joint Sustainability Initiative and the Portland Cement Association, receiving ACI’s Sustainability Award. 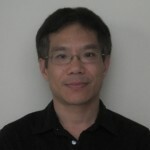 He served the boards of the US Green Concrete Council, MIT’s Concrete Sustainability Hub and CTL Group. He founded the Resilience Action Fund, a non-profit advancing greater awareness, transparency and education for resilience in the built environment. He authored the book: ‘Resilience–The Ultimate Sustainability: Lessons from Failing to Develop a Stronger and Safer Built Environment’. Aris serves on the board of the UN Alliance for Disaster Resilient Societies (ARISE). He was founding chair of the UN-ISDR Private Sector Advisory Group, advocating for resilience before three UN DRR Conferences and Rio+20 and played an active role in developing the ‘Sendai Framework for DRR: 2015-30’. 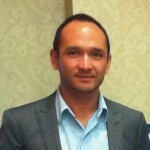 Dr. Juan Pablo Sarmiento is a Physician and Surgeon from the University of Rosario (Colombia). He has post-graduate studies in Disaster Management from Brooks University (Oxford, UK), and Public Administration from the Colombian Superior School of Public Administration; a Specialization degree in Medical Education from the University of Sabana, (Colombia); a residence in Nutrition from Tufts University (US); a Master’s degree in Project Administration from the University for International Cooperation (Costa Rica); and a Master of Science’s degree in Public Health, with Specialty Health Promotion and Social Development from the Université de Bordeaux (France) and the Public University of Navarra (Spain). Currently, Dr. Sarmiento is a Research Professor and Associate Director for Research of the Extreme Events Institute (EEI) at Florida International University (FIU). 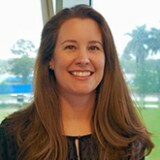 Dr. Sarmiento is also the Director of the Disaster Risk Reduction Program, funded by the U. S. Agency for International Development (USAID) and housed in the FIU-EEI. 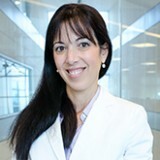 Dr. Sarmiento has worked for the Pan American Health Organization (PAHO/WHO); and for the Office of U.S. Foreign Disaster Assistance (USAID/OFDA). His recent single and joint publications include the “Health response to the earthquake in Haiti: January 2010” PAHO/WHO (2011); “Communities of Practice and Disaster Risk Reduction”. Natural Hazards Informer. (2012); and “Sistematización in urban disaster risk reduction”, Disaster Prevention and Management, (2015). 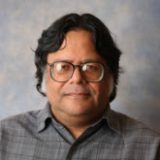 Dr. Arindam Gan Chowdhury is Associate Professor of Wind Engineering at FIU CEE and Director of the Laboratory for Wind Engineering Research at FIU’s International Hurricane Research Center. 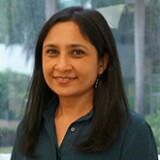 Dr. Chowdhury is conducting groundbreaking research at the Wall of Wind (WOW) facility at FIU. Dr. Chowdhury’s current research is enabling, for the first-time ever, innovative testing of full-scale structures fully engulfed in properly simulated hurricane flows, leading to performance-based design for hurricanes through direct correlation of wind speed with performance and damage levels. Dr. Chowdhury’s current projects, funded by federal and state agencies and by private industry, are creating a sound scientific basis for developing risk-based and performance-based design criteria, and contributing to the attainment of a national objective: achieving more sustainable coastal communities. Under Dr. Chowdhury’s direction, the Wall of Wind research team has had a significant impact in mitigating hurricane damage by enhancing building codes, validating innovative mitigation technologies and developing new materials. The team has a patent pending for a new type of roofing material. Additionally, recommendations made as a result of Wall of Wind testing were published in the 2010 Florida Building Code. The new code provisions are geared toward decreasing the vulnerability of roofs and rooftop equipment. Dr. Chowdhury has received numerous awards and honors for his state-of-the-art research and excellent service to FIU. 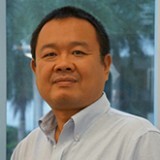 He recently won a Faculty Early Career Development Program (CAREER) Award from the National Science Foundation and a Research to Application Award from the Florida Sea Grant Program. FIU has also honored Dr. Chowdhury by naming him a Top Scholar, granting him a Service and Recognition award, and lauding him with the President’s Council Worlds Ahead Faculty Award, which is the university’s highest recognition for faculty members. Dr. Chowdhury received his Ph.D. in Engineering Mechanics from Iowa State University in 2004. His research at Iowa State University (ISU) focused on flutter instability, an aeroelastic self-excited oscillation that can occur mainly in suspension or cable-stayed long-span bridges. 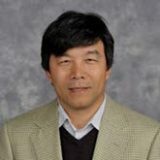 He received the Iowa State University Research Excellence Award in the spring of 2004 in recognition of his outstanding research accomplishments in the field of Wind Structure Interaction. Before pursuing his Ph.D., Dr. Chowdhury earned a Master of Technology degree in Structural Engineering from the Indian Institute of Technology in Mumbai in 1995 and a Bachelor of Science in Civil Engineering from Jadavpur University in Kolkata, India in 1992. 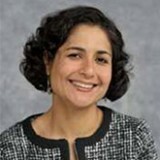 Dr. Chowdhury has received funding from or formed partnerships with a wealth of influential organizations, including the National Science Foundation, the Gulf of Mexico Regional Sea Grant Program, Florida Sea Grant College Program, the Florida Department of Community Affairs, the Florida Division of Emergency Management and the Department of Commerce/National Oceanic & Atmospheric Administration. For more on Dr. Chowdhury, visit eng.fiu.edu/cee/DrChowdhury. For more on the Wall of Wind, visit wow.fiu.edu. 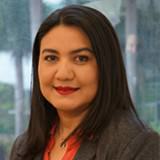 Dr. Hamid is Professor of Finance in the College of Business, and Director of the Laboratory for Insurance, Financial and Economic Research located in the International Hurricane Research Center at Florida International University. 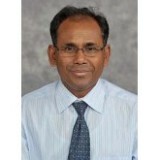 Professor Hamid also served as director of the Master of Science in Finance program for over a dozen years. 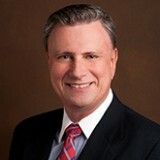 He has conducted research on a wide variety of topics including hurricane loss modeling, vulnerability functions, cost benefit of mitigation, homeowner insurance, international stock markets, corporate financial policies, commercial banking, interest rate risk, derivatives, financial crisis, portfolio performance, central bank policy, technological change, free trade agreements, and accounting restatements. His recent research work has focused on the insurance and economic consequences of hurricanes. 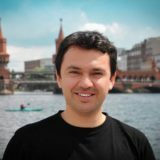 He has produced over 180 refereed academic journal papers, proceedings, book chapters, conference presentations, and technical reports. 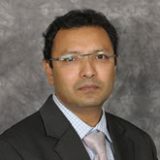 Dr. Hamid’s research has been published in such journals as the Journal of Banking and Finance, Journal of Regional Science, Journal of Business Finance and Accounting, European Journal of Finance, Decision Sciences, International Trade Journal, Applied Economics, Quarterly Journal of Business and Economics, International Journal of Finance, Journal of Structural Engineering, Software Practice and Experience, Journal of Wind Engineering and Industrial Aerodynamics, IEEE proceedings, Natural Hazard Review and others. He has also presented his research at numerous meetings including those of the Financial Management Association, American Economic Association, American Risk and Insurance Association, European Finance Association, Multinational Finance Society and many more. 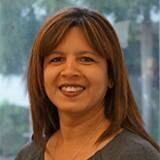 Dr. Hamid has received over $13 million in research grants. 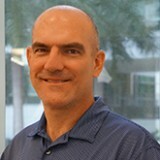 As the Principal Investigator and project manager for over a decade he assembled and led a multi-disciplinary team of over two dozen current and past professors and experts and about seventy students in finance and economics, engineering, meteorology, computer science, actuary, geoscience, statistics from FIU, UF, FSU, UM, FIT, Notre Dame, NOAA, NIST etc., in the project to develop, upgrade, and operate the Florida Public Hurricane Loss Model. The model has been used extensively by the state of Florida and by insurance firms. He is also director of an entrepreneurial venture for FIU that provides hurricane loss modeling service to client companies in the private sector. Professor Hamid has conducted seminars for executives, served as occasional consultant in the financial industry, and participated and testified in legislative and public hearings, and served as reviewer for many journals and conferences. 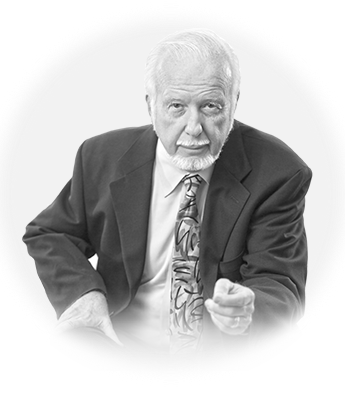 He has been interviewed frequently on professional topics by the print and TV news media. 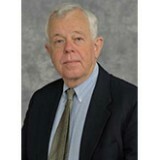 Previously, he was appointed to the Florida Commission on Hurricane Loss Projection Methodology, and also served as technical advisor to the Academic Task force on Hurricane Catastrophe Insurance. 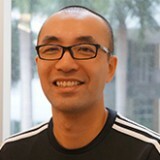 He has been member of about 19 university and college committees and is a leader in the faculty governance of curriculum having served as chair of university curriculum committee, chair of COB graduate curriculum committee, chair of COB research committee, member of university faculty senate, and member of the university graduate council. 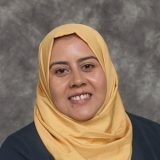 Dr. Hamid has taught over a dozen different bachelor, masters, and doctoral courses, and created and administered as director the tuition plus one year Master of Science in Finance program. He has received 14 teaching awards and 5 research awards and 2 awards for service, including the FIU outstanding research and outstanding teaching as well as the top scholar awards.